How AWESOME that your therapist has grandchildren with situations similar to Grayson's! That is amazing. Now you can be confident that she at least has some idea what you're going through. I'm so happy you're seeing someone. I'm a huge believer in therapy! (I go once a month now, but I've been going weekly for YEARS! )I hope you have fun with your girlfriends. A margarita sounds amazing! 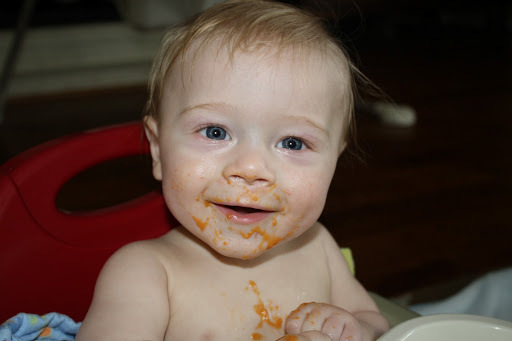 Love the sweet potato pic, so adorable! So happy he liked it! Glad it was a good and easy day. Sounds like you have some fun weekend plans, enjoy that margarita, yum!!! Oh and great about the therapy, I am also a big believer, it can only help!